Great news! You’ve decided to expand your practice by including Dental Sleep Medicine and Craniofacial Pain services. So, what is the next step? Let’s start marketing! Whether you decide to higher a big-name marketing company or a freelance writer, creating an effective and successful marketing campaign is important for educating your patients and referring doctors. Reach out to your community. Don’t be afraid to let your community know who you are and what services you provide. Introduce your practice to your local sleep specialist or family doctor. By doing this, your local sleep physician or family doctor will be aware of the services you provide, while building a relationship for proper diagnosis and treatment planning. When you have evaluated and placed an oral appliance in a patient, a follow-up sleep study is recommended to determine the success of your therapy. Once again, this opens up doors since you will utilize the sleep physicians in your community to retest your patients. It is also important to gain an understanding on how to file a medical claim for oral appliance therapy since dental insurance offers no coverage. There are companies and products one can invest in to better understand medical billing. An example is Nierman Practice Management. Like many companies, Nierman Practice Management provides a comprehensive suite of products, educational courses and software solutions to help grow your sleep practice. You should also consider being “in network” with medical insurance plans since your patients ask for it. This helps your office become more visible and easily accessible for patients. As you know, your patients utilize the Internet on a daily basis. From shopping to socializing, they can use the Internet for all of their needs, so why aren’t you doing the same? Creating and improving your web presence is essential in marketing your Dental Sleep Medicine practice. From social media management to Search Engine Optimization (SEO), it is important to establish a proper plan for the maintenance of your web presence. Through these services, I am able to maintain a well-rounded web presence and marketing plan—you can, too. You’ve taken the biggest step already—choosing to incorporate Dental Sleep Medicine into your practice. Now it is time to take charge of marketing your Dental Sleep Medicine and Craniofacial Pain office to reach new patients. What are you waiting for? Get going! Creating a blog for your practice can help to improve your lead generation ability because not only is it great for search engine optimization (SEO), but it will help to build trust with your patients. Every blog that you publish becomes its own webpage, which continues to help you build your online presence and grow your Internet footprint. While you may be aware of the impact a blog can be for your marketing, you need to figure out some topics to blog about, which can be the biggest roadblock for starting a blog. When creating your blog, try to stick to educational and patient-centered content. Once you create a following from this content, you can begin to throw in blogs about your practice. In order for your blog to generate results for your dental practice, it is important to have content that will attract the interest of your current patients and prospective patients. To do this you will need to provide patients with information they are looking for. If you are trying to self-promote yourself, they won’t be as valuable to you or your practice from a marketing standpoint. Prospective patients are more interested in reading educational material, rather than advertisements. Show that you run a quality practice by helping patients with their questions about dental care –the more quality, educational blogs the better. These topics can also continue to expand into other blog topics –the ideas are limitless! If you have questions about blogging, contact Dr. Mayoor Patel for more information. 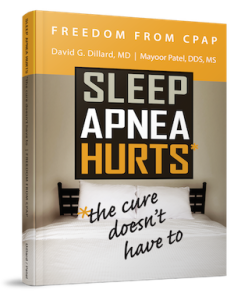 As an expert in dental sleep medicine, Dr. Patel strives to improve his patients’ and other dentists’ understanding of important dental health care topics through his blogging, which can be attributed to a freelance writer, which is a helpful alternative for dentists who do not have time to actively blog. Do you currently have a practice blog? If so, what types of blogs are you posting? Share your responses with us!